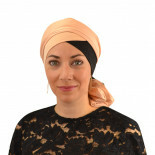 Whether in silk or cotton, patterned or plain, choose the scarf or turban that suits you best. 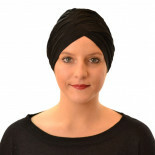 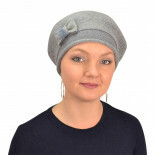 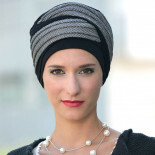 There are lots of styles that are perfect to wear during chemotherapy and are also elegant enough so you can wear them without a wig and still look good. 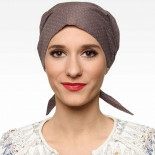 Choose one to match your outfit.